The Cape May County Park & Zoo in Cape May Court House, New Jersey provides free year-round admission to a collection of over 550 animals representing 250 species in 85 acres of exhibits. The zoo is located in the center of Cape May County s Central Park, and together the zoo and the park cover about 220 acres. The zoo began operation in 1978. Its principal exhibit areas are a 57-acre African Savanna, a free-flight aviary, and a reptile collection. The machines have four designs each. 4) Cape May New Jersey . 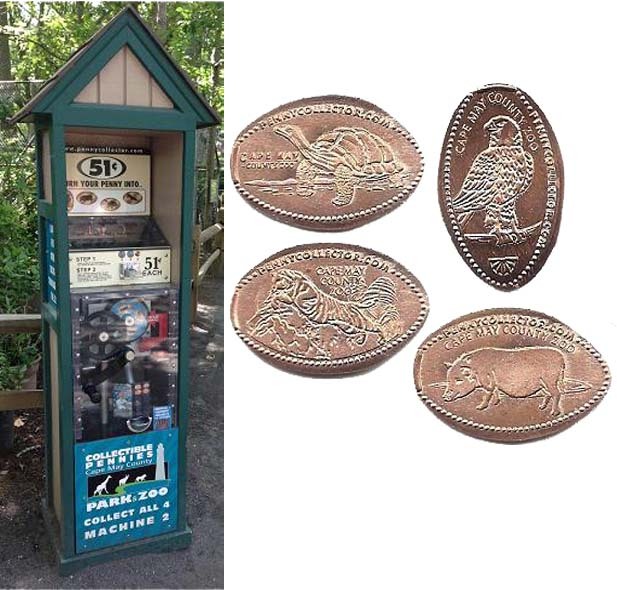 Token Machine 1 (6/12), is also outside the Reptile Exhibit. thegillion added Cape May County Park & Zoo to system.